AthenaDiax sensors are comfortable to wear, invisible to others, non-intrusive to daily activities. They are invisible to others while the ECG recording goes on. The non-invasive sensors by AthenaDiaX are small and wireless. Their long term recording capability allows to discover unrecognized and infrequently occurring cardiac arrhythmias. The easily and intuitively applicable sensors deliver complete, gapless three channel ECGs and thus allow the clinical personnel a detailed analysis of the patient's cardiac rhythm. 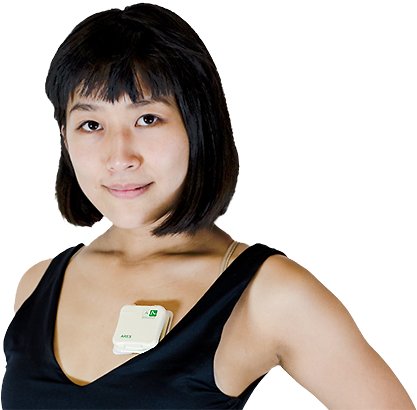 make AthenaDiaX sensors a preferred diagnostic tool in hospitals, clinics and in-home long term ECG monitoring.